This article appears in our July/August issue. Subscribe here. 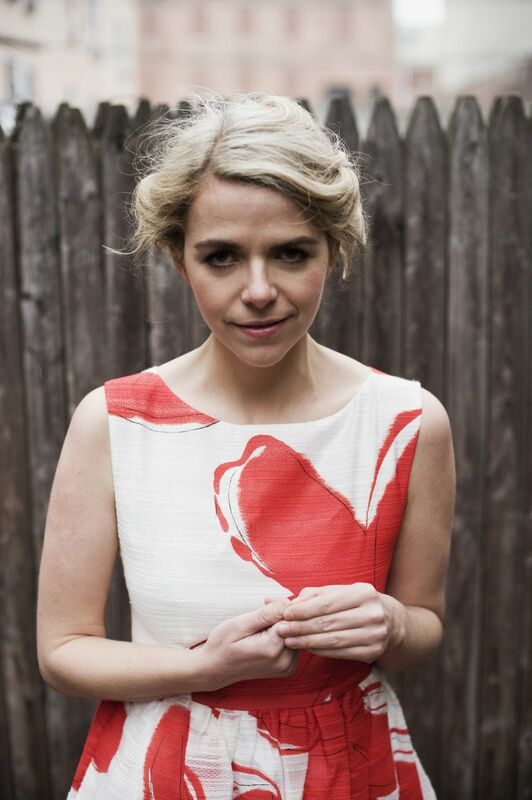 Aoife O’Donovan (pronounced “EEF-ah”) first emerged in 2001 as frontwoman for bluegrass revivalists Crooked Still, a co-ed quintet that drew praise for their expert musicianship and riveting stage show. The Boston-based band issued five studio albums that dealt primarily in reinterpretations of folk standards –but also included a handful of originals centered in that style – before going on hiatus in 2011. Subsequently, O’Donovan released a pair of EPs – 2010’s Blue Light and 2012’s Peachstone – under her own name. Her Yep Roc Records debut, Fossils is the Irish-American singer-songwriter’s first long-player. Recorded in Portland, Oregon with Grammy nominee Tucker Martine (Bill Frisell, Neko Case, My Morning Jacket) behind the boards, the record walks a graceful line between old-timey and modern. Fossils displays surprising pop instincts. Gently guided by her lovely lilt – easygoing, yet emotive – the streamlined 10-song, 40-minute set features glistening production, eclectic tones, moods and instrumentation, and intuitive melodies that hypnotize from first listen. Of particular note are O’Donovan’s articulate, relatable lyrics, which explore themes of wanderlust, unrequited love and mortality. Fans of Alison Krauss and Union Station will recognize opener “Lay My Burden Down” – with its reverberating baritone guitars and pedal steel flourishes – from the Midwestern songstress’s 2011 album Paper Airplane. What they might not know, however, is that O’Donovan actually penned the track – which she calls “a love song sung by somebody at the end of their life” – in 2007. When Krauss and her group were choosing songs for Airplane, she explains, audio engineer and mutual friend Gary Paczosa passed along an early demo of the song, and – “because some of the guys in Union Station knew me from hanging out at festivals” – it quickly found its way onto the list. Though she clarifies Crooked Still isn’t over – “we’re not touring anytime in the near future, but that door is always open” – O’Donovan is enjoying solo life. She’ll be touring and “doing collaborative stuff” – including an appearance with banjo-wielding comedian Ed Helms at Tennessee’s Bonnaroo Music Festival – all summer.